This buttery cream works on skin overnight during its optimal recovery time. It provides nourishment to skin with an intense concentration of vegan plant collagen, collagen amino acids and ceramides, which help provide a visibly smoother and glowing appearance. Patented Alguronic Acid helps shuttle hydration to the skin barrier to minimize the appearance of fine lines and wrinkles. 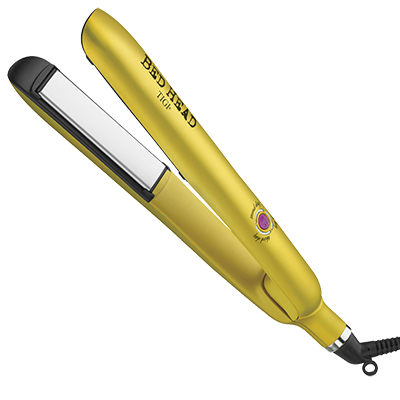 Keep next-day hair looking fresh and sleek with this flat iron that includes unique LED Heat Settings and Tourmaline Ceramic Technology with three unique settings: Wash Day, Second Day or Third Day. Each is specifically designed to avoid unnecessary heat exposure and bring life and shine back to dull hair. This cutting-edge cream fights fine lines around the delicate eye area 24/7. Copper peptides combat free radicals and maximize collagen and elastin production. Rich shea and cocoa butters drench skin in moisture, while vitamin C, carrot and echinacea revitalize your appearance. This delicious guilt-free formula is a fusion of skin-benefiting ingredients designed to supplement your skin in a single bite. Each square of the sugar-free organic South American dark chocolate contains a blend of fucoidan-polyphenols and phytoceramides that help to renew your skin from within. Working to improve the skin’s hydration, this unique chocolate supplement helps to iron out the wrinkles and fine lines, while delivering a potent dose of antioxidants. Featuring a glamorous, iridescent design and a rectangular Titanium barrel to help achieve long-lasting curls, this curler is a sidekick for the fierce and bold. The slim "chopstick" barrel helps achieve instant mega volume and alluring, bouncy curls. The sleek design incorporates a LED display, swivel cord at the base, and a cool tip to ensure ease of use. The slim titanium barrel guarantees a quick heat-up time at adjustable heat settings up to 410ºF. Lips get full coverage with intense glossy finish and stay hydrated for up to 24 hours. This high-shine vinyl lip color glides effortlessly onto lips and is available in 12 gorgeous shades. Pictured: Toasted. Lightweight like a toner but concentrated like a serum, this refreshing formula visibly reduces redness and helps reduce sensitivity by strengthening the skin’s moisture barrier. 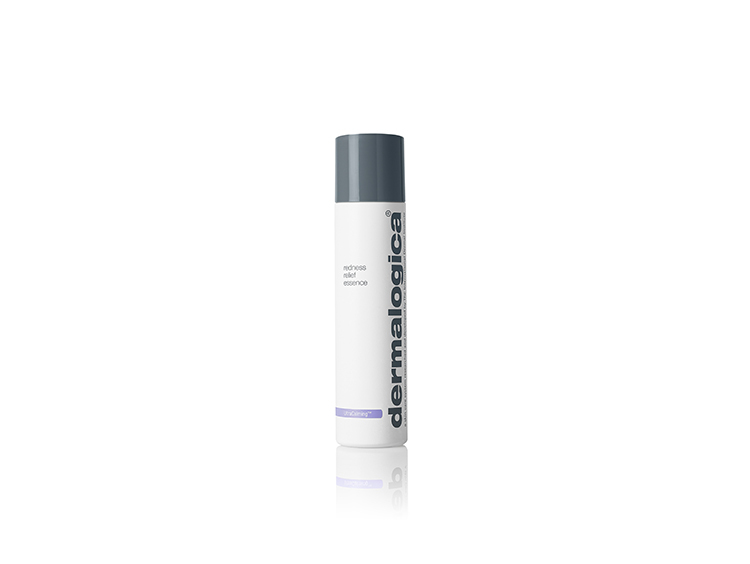 Dermalogica Redness Relief Essence is part of UltraCalming line, and works synergistically to relieve, restore, and hydrate sensitive skin against redness, discomfort, and dehydration. This nourishing hair treatment is suitable for all hair types and has an immediate effect. Formulated with a unique combination of ingredients including, cloudberries and volcanic minerals, the treatment adds shine, repairs, protects and restores the hair, and is free of parabens. For best results, the mask should be used 1-2 times a week. This FDA-approved, medical-grade, anti-aging device uses NASA LED Technology to remove wrinkles and fine lines from your face in just four weeks. The lights penetrating the surface go much deeper than any cream, through three layers of skin. They are absorbed by photo acceptors in the mitochondria, and increase the production of adenosine triphosphate (ATP)—the fuel that “feeds” or drives all cells, leaving skin feeling smoother, brighter and younger. 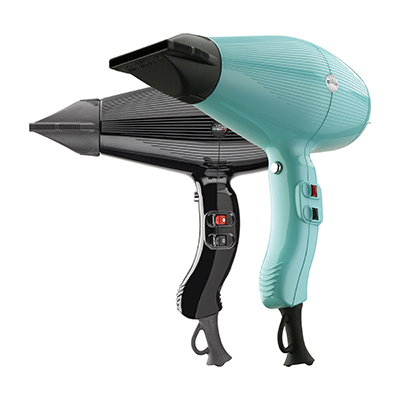 Fast, light and quiet, this ergonomic hairdryer introduces a new hybrid motor that is ultra-lightweight and combines high-performance and velocity to dramatically reduce drying time without compromising on power. It’s also quieter than other dryers, significantly reducing noise while producing maximum negative ions for shinier, healthier hair. Available in aquamarine or black. This super cute limited-edition Sleep Set includes an ultra-comfy plush eye mask and the Avocado Melt Sleeping Mask—an indulgent creamy formula made from four forms of avocado: avocado flesh, avocado extracts, avocado oil, and avocado butter. Polyhydroxy Acid (PHA) gently exfoliates dead skin cells while attracting water molecules to keep skin moisturized, and Manuka honey firms skin and reduces redness. 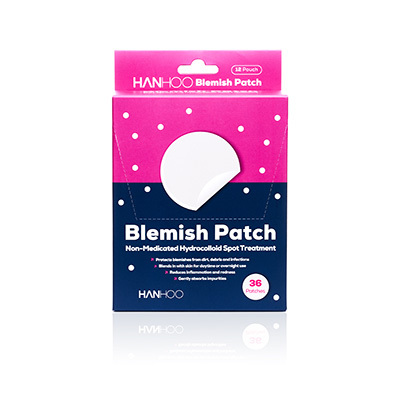 Great for targeting blemishes overnight without drying out the surrounding area, these hydrocolloid patches help to absorb pus and impurities from pimples while forming a protective seal for faster healing. You’ll wake up to find the size and redness of pimples reduced (if not entirely gone). Diminish the appearance of cellulite and achieve younger, firmer-looking skin with this concentrated blend of botanical actives. Coffee Oil tones and tightens, while Kola Nut and Horse Chestnut boost circulation. Rich oils, mango butter and vitamins plump, as a warm vanilla scent soothes. Part of Nicole Richie’s global lifestyle collection, this lightweight kimono wrap can bring elegance to a layered outfit and is perfect for stylish, comfortable lounging. This peel-off mask is infused with exfoliating ruby and pearl powder, plus rose water and hyaluronic acid to calm irritation and hydrate skin. Watch it go from a shimmering emerald color to a soft pink upon application. 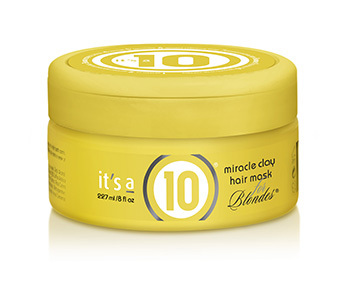 This simple treatment restores, protects, and refines blonde tresses in a matter of minutes. The secret is mild, mineral-rich Kaolin Clay, which helps conditioners and other nutrients bond to the hair shaft, and then rinses away clean, leaving only strong, shiny, resilient strands. Also removes brassiness, keeps highlights bright, and preserves color, all while deeply conditioning to eliminate tangles and frizz. The active ingredients in these body balms for men refresh and soothe skin at the same time. It's essential for invigorating skin, leaving it feeling hydrated and moisturized. Available in five fragrances. This sulfate-free cleanser leaves skin feeling fresh, renewed and deeply cleansed. Bamboo charcoal gently removes dirt, pollution and excess oil. Willow Bark naturally exfoliates, while rosehip seed oil, avocado oil, olive oil, olive leaf extract and aloe vera hydrate, rejuvenate, and soothe. This super cute trio, which makes for the perfect birthday or Valentine’s gift, features the brand’s ultra-hydrating Velour Body Melts in Sugar Kiss, Sugar Lavender, and Sugar Coconut. The rich formula sinks into skin for an effortless, touchable finish., and contains cold-pressed coconut oil and organic, cold-pressed Kalahari Melon Seed Oil, which has naturally high levels of antioxidants. These powerful naturals help defend skin against pollution and sun damage. Creamy easy-to-use crayon with velvety texture enhances cheeks with blush, bronze and highlight shades. 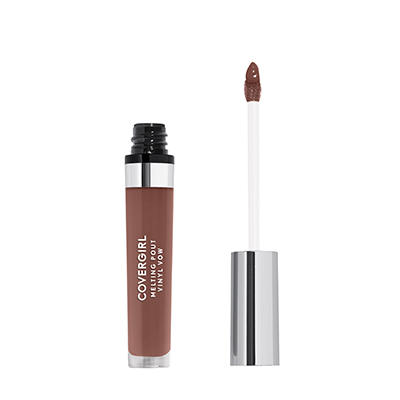 Lightweight formula applies like a cream, but wears like a powder. Blends and layers seamlessly on cheeks and face. Designed for versatility and convenience. Simply dot, blend and dash out the door! Available in six stunning shades. Featuring a super cute palm design, this luxuriously soft microfiber headband multitasks, keeping hair out of your face while cleansing, applying makeup, or putting on face masks. Accommodates all hair lengths while providing comfort during beauty routines. This powerful Microcurrent Skincare duo instantly targets the appearance of fine lines and wrinkles around the eyes, lips, and forehead within three minutes. NuFACE FIX Device provides gentle NuFACE microcurrent energy to instantly firm, smooth, and tighten the look of skin. The addictive NuFACE FIX Serum, the first ionic Microcurrent Skincare formula, is supercharged with active beauty ingredients that help smooth, tighten, and brighten skin. Treat your hands with this indulgent, refining scrub. Delicate particles of pumice stone exfoliate away dry skin while a blend of natural oils leaves skin feeling luxuriously hydrated and scented with the brand’s signature Cote d’Azur fragrance. This 100% vegan, cruelty-free natural lip scrub is highly moisturizing with jojoba, sugar, and grape-seed oil. Smells like sugar and lemon, and makes lips look and feel amazing. This re-energizing bath powder offers all the benefits of a dip in the ocean in the comfort of your own home. An ideal opportunity to relax, re-balance and re-energize, it contains all of the active components of seawater, notably 104 trace elements necessary for the balance and vitality of the skin. 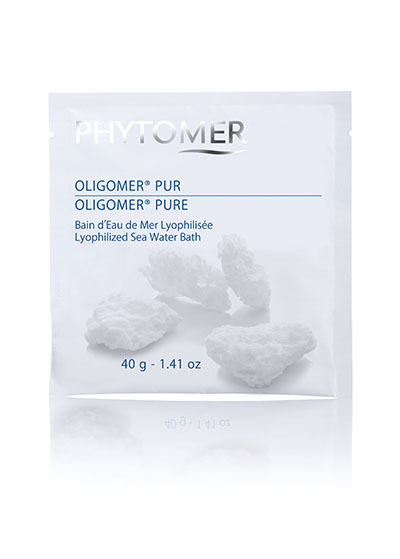 Delivers an optimum dose of trace elements and minerals, fortifies the epidermis, and prevents cellular fatigue. 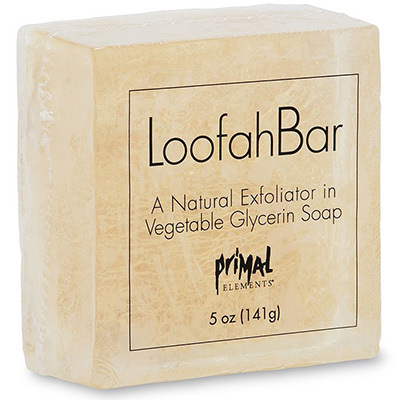 Moisturize and exfoliate skin at the same time with this natural loofah that contains over 25% vegetable glycerin. Proprietary soap formula is vegan, and free from sodium lauryl sulfate and parabens. Available in multiple fun fragrances like salted lemonade (pictured). These easy-to-use heating patches adhere to underwear to soothe menstrual cramps and provide comfort for up to six hours. Infused with five herbal ingredients proven to be effective in soothing abdominal discomfort, reduce swelling and bloating, and improve mood and energy. Instantly heats up to an ideal, therapeutic temperature to promote blood flow and help muscles relax. Free from non-toxic ingredients. Three natural herbal heating patches are included per pack. This trio heals, hydrates, and helps protect against dry and aging lips. Includes Chamomile Lavender Lip Scrub to exfoliate flaky skin, Sweet Clay Lip Mask to soothe, and The Dream Slip, which replenishes lips while you sleep. Follow these three steps for the perfect pucker! This ultra-indulgent butter leaves lips looking smoother and feeling softer, thanks to an infusion of Cupuaçu butter, açaí oil, and coconut oil. In addition to being an amazing base for lip stains, it can be applied to cuticles and elbows to instantly soothe and heal dry skin, or applied to the high planes of the face to lend a translucent, radiant glow. 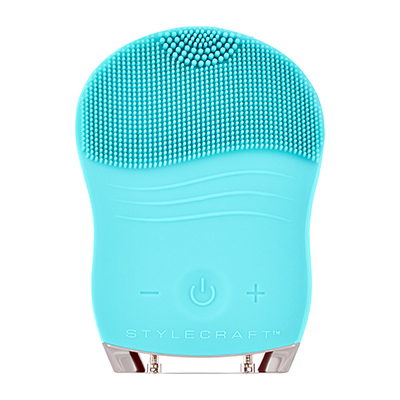 This special facial cleansing brush removes impurities with multi-zone micro-bristles that have variating thickness and length, and six speed settings for a fully customizable cleansing experience. Specialized soft-touch silicone design is nonporous to resist bacteria buildup. Available in four fun colors. Stay naturally fresh all day with these 100% natural deodorants that use organic apple cider vinegar and essential oils to fight odor-causing bacteria. Free of aluminum and parabens, they dry clear and feel weightless. Available in several pleasant fragrances, including a men’s option. 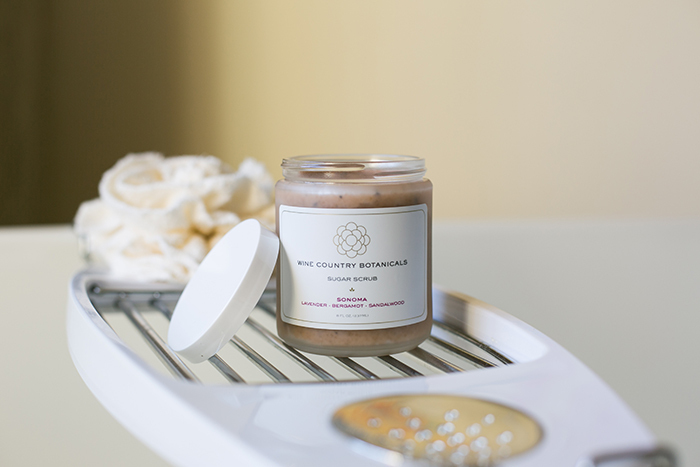 This treatment combines two types of sugar, pink clay and grape skins and seeds to create a natural, wine country inspired exfoliant that also detoxifies your body. A combination of shea butter, avocado oil, apricot kernel oil and local beeswax nourish, balance and protect skin, while the Sonoma Collection essential oil blend features aromatic lavender from Sonoma, a bright citrus note of bergamot from Italy, and a sweet, earthy finish of sandalwood.